About Spending time with my seven grandchildren, my three grown children and their spouses. Enjoy entertaining friends & family. Eileen did an outstanding job! We were impressed with the knowledge of your agent, Eileen. She was able to answer all our questions. She was by our side from start to finish. We were especially impressed when shown a vast number of homes. She was calm and calming to us with no pressure to make the move. Thankfully, we found our family home and we love it. THanks Eileen and Purdy Realty. We have worked with Eileen before, she is terrific, they don't come any better! She is well informed. Thank you. I have had the pleasure of working with Eileen in the past; each time she has been professional, respectful and most of all, trustworthy. I will absolutely work with Purdy Realty in the future. Working with Eileen was a wonderful experience! She helped ready and sell the property and went above and beyond. We are so very grateful to her and I feel she became a friend in the process. The buyer was also such a good fit. Everything that was important to my parents was appreciated by her. I had heard good things about Eileen and she lived up to her recommendation. We couldn't have been more pleased. Thank you, Thank you! Eileen was extremely helpful to all of us in our pursuit of a home here - even when we were difficult! We will always appreciate her efforts! Thank You! Eileen is a great agent, highly recommend. Eileen has always gone above and beyond for me, and also my family have all used her. When we moved into our last home 13 years ago, I ended up in the hospital having surgery. eileen came over to help my family finish packing and helped with the move. She truly is the best! 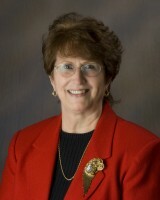 Eileen: "After using PurdyRealty on two occasions I can honestly say the process was very positive. I would recommend Purdy to anyone going through the difficult transition of selling or buying a home." Eileen was all we could've hoped for in an agent - patient, knowledgeable, experienced, motivated and always reachable when we needed her. She made finding and purchasing our dream property possible and we couldn't have done it without her! Eileen is very knowledgeable and extremely personable. I recommend her highly! Eileen treated us with such a personal feel. It was obvious to us, no matter what price range, she gives her all - Equally and with a smile! We have used Eileen for other real estate transactions and we have referred her to others. She has always been extremely helpful and very accessible any time of day or night. Always answered questions and concerns. She has made very difficult situations much less stressful. We will always user Eileen and recommend her in the future! Eileen is wonderful, knowledgeable. Was always there when I needed her. I look forward to working with her in the near future! Eileen was my calming force through the many hurdles we faced. I was discouraged many times only she said not to worry things will work out, and they did. I love my home! Eileen is awesome. Also thank you for cookies. Eileen was very knowledgeable & helped explain the process thoroughly. Loved working with Purdy. "Eileen should be named Realtor of the year. She was great!" Eileen clearly had our best interests at heart and was very patient with supporting both me and my husband's desires for a home. Working with Eileen was again a great experience. As always Eileen went above and beyond. My Thanks!! "Eileen was outstanding! Thank You!!" Eileen Macintosh- Keep her! She is a definite asset to any Realty Co. Her knowledge could fill books! Thank you. Eileen!!! This was an estate sale, Eileen was terrific! Eileen made our long 2 year journey a little less bumpy. She has a unique way of making you feel as though you are the most important clients. Eileen is a blessing for Purdy. Always goes above and beyond every time.